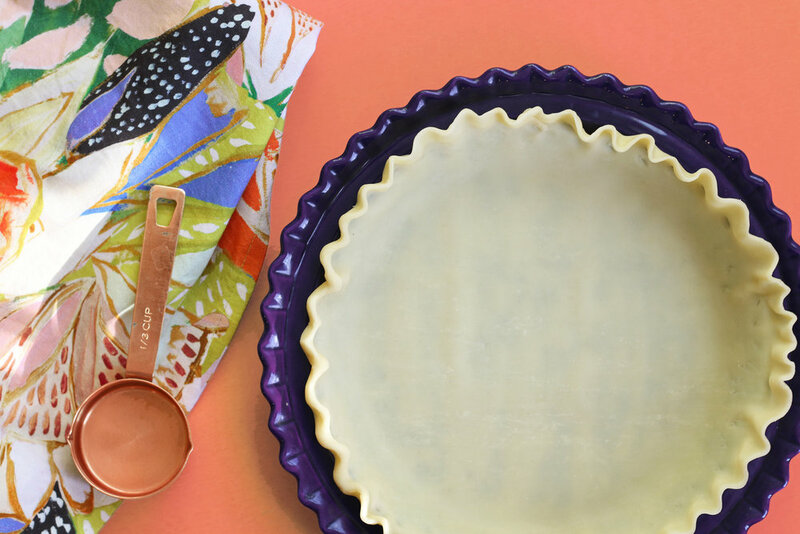 Buttermilk Pie Recipe — When it Rains Paper Co. | Colorful and fun paper goods, office supplies, and personalized gifts. I was racking my brain with what recipe to share with y’all for Thanksgiving and finally settled on Grandmother’s buttermilk pie. It’s what dreams are made of. I know what you’re thinking…buttermilk pie? Who makes a pie out of buttermilk? You’re just going to have to trust me on this. It’s a southern delicacy in our family and now you can share it with yours! Step 1 | Combine sugar, flour, and salt. Stir in well-beaten eggs, melted butter, buttermilk, and vanilla. Step 2 | Pour filling into uncooked pie shell and bake for 45 minutes at 350 degrees. (Grandmother says you need to keep an eye on it!) Sometimes it cooks faster and sometimes it takes a little longer depending on your oven. If the top of the pie or crust is getting brown before it's ready just lay a piece of foil over it. Step 3 | Remove from oven and allow pie to cool before serving. I think it’s served best warm. Enjoy!